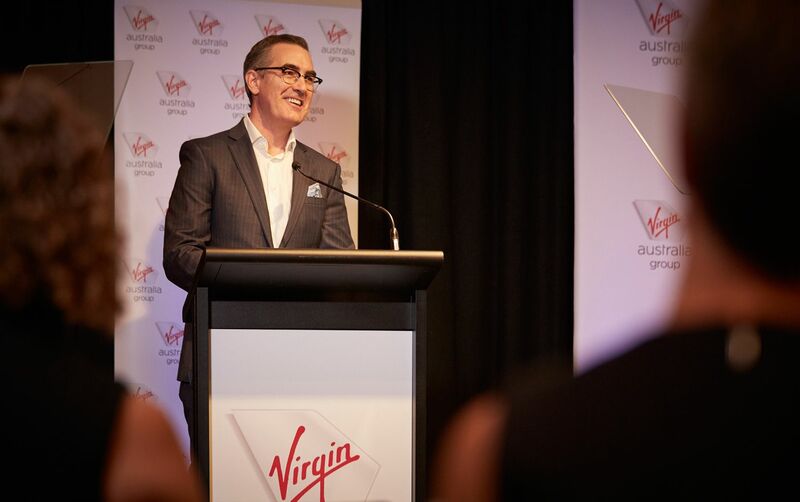 John Borghetti will leave Virgin Australia next month – nine months earlier than previously announced – as newly-appointed CEO Paul Scurrah steps into the corner office. Experienced tourism and transport and logistics exec Scurrah has previously racked up years at both Qantas and Ansett Australia, helped establish Regional Express Airlines (REX) and more recently held down executive roles at Flight Centre, Tourism Queensland and Queensland Rail. Virgin Australia Group Chairman Elizabeth Bryan predictably praises Scurrah as "a highly regarded business leader in Australia and his appointment is testament to his strong leadership credentials which include more than 20 years’ experience in transport, logistics, travel and aviation." Scurrah will officially punch the clock from 25 March 2019, and will divide his time between Virgin's operational headquarters in Brisbane, where Scurrah lives with his wife and two children, and the airline's corporate headquarters in Sydney – so the airline's Sydney-Brisbane travellers should expect to see a lot of Scurrah as he shuttles back and forth. John Borghetti will step down as CEO on 25 March 2019, ending nine years in a role which has seen him transform the airline from a low-cost carrier to a more capable challenger to Qantas through the introduction of competitive domestic and international business class and a string of new-look domestic airport lounges. A 45 year veteran of the aviation industry, Borghetti – the son of working class Italian immigrants to Australia – famously started his career in the Qantas mailroom in 1973, aged 17 years. He delights in recounting how he first set his eyes on a job with Qantas: sitting in a theatre with his best schoolmate to see the James Bond film Live and Let Die, the 007 flick was preceded by a featurette showing the Mardi Gras in Rio de Janeiro "showing all these beautiful, half-naked women," Borghetti has often recalled. Borghetti and his friend quickly agreed they needed to get to Rio – but how? Working for an airline would be the means to a cheap ticket to Brazil. Over the next 35 years the driven and hard-working Borghetti had climbed Qantas' corporate ladder one rung at a time from mailboy to sales rep to Executive General Manager – where he assumed responsibility for the airline's debut of the Airbus A380 and the creation of its award-winning first class lounges and invitation-only Chairman's Lounge. But in July 2008 he lost out on the prized role of Qantas CEO to then-Jetstar chief Alan Joyce. 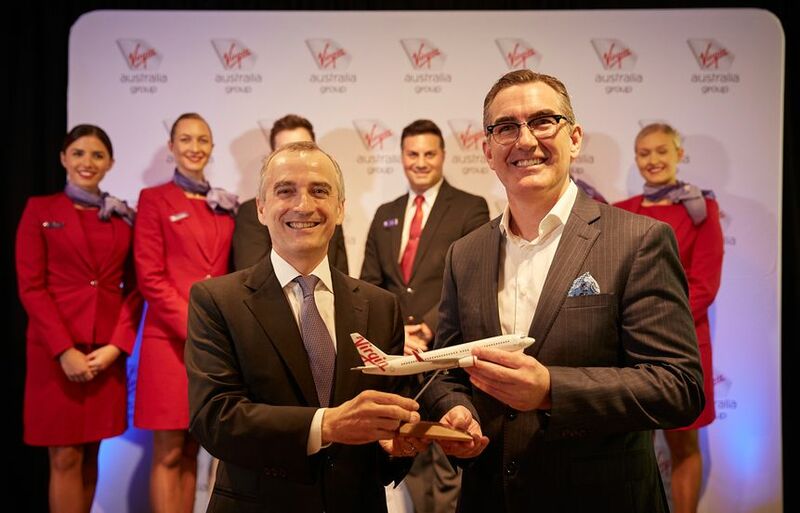 Borghetti resigned early the following year, and in May 2010 took the helm at Virgin Blue, embarking on transformation to turn the decidedly low-cost airline into a Qantas competitor with a broader customer base than just the bottom end of the leisure market. With the airline quickly rebadged as Virgin Australia, Borghetti oversaw the launch of domestic and later trans-Tasman business class, upgraded its east-west Airbus A330 business class seats – a move which arguably spurred Qantas to its launch its Airbus A330 Business Suite product – developed a lounge network including the invitation-only The Club, and relaunched the Velocity frequent flyer program to sharpen its edge against the powerhouse Qantas loyalty program. In more recent times Borghetti saw the airline's US-bound Boeing 777 fleet upgraded with the same business class as the A330s and pushed expansion into Asia with flights from Melbourne and Sydney to Hong Kong. A famously well-dressed workaholic and car enthusiast, Borghetti can at least look forward to spending some time tinkering with and driving a few favourites from his Porsche-heavy collection cars, although he's expected to take on a number of boardroom director roles in his post-Virgin life. Congratulations to Paul Scurrah on his appointment to the top job at Virgin Australia. It will be fascinating to see if / how / what changes emerge with the number 2 Australian carrier over the next few years. Whilst I am a little surprised at John Borghetti's 'early' departure, it makes some sense of giving Paul time to establish himself in the CEO position given the imminent introduction of new fleet in terms of the B737-MAX fleet. Best wishes to John. He hasn't had the easiest time over the past 24-36 months with the table changing rapidly (and regularly) in the aviation marketplace. Whatever the international issues, he has firmly moved Virgin in the domestic market to a full-service alternate QF offering. Equally of interest is where his career will take him next? Somewhat curious was that Paul was a bit of a 'dark' horse, given the speculation of such luminaries as Mark Dunkerly (ex HA CEO, senior Westpac department heads etc) as being on the short list. However, it is now Paul's time to shine - and he could well be ready to take Virgin Australia and it's associates on a highly interesting flight into the future. Borghetti should have left years ago, although it would appear to the workforce that he already did. Virgin has been a rudderless ship for some time now with a CEO who didn’t care and a clueless incompetent board who don’t have any understanding of the cultural issues pervading this company. Whilst anybody would surely be a better CEO than Borghetti, it’s such a shame that the board didn’t appoint the one person who actually had the skill set to repair the damage and point the company in the right direction. Good luck Paul. You’re gonna need it! Perhaps, a little too 'harsh', although everyone is entitled to their opinion. Virgin was never going to be an easy task for any CEO to walk into, irrespective of what the market thought. John had the immediate challenge of changing the Brett Godfrey culture from day 1. He had the vision to see that being stuck in a 'pincer' point between a full-fledged QF and a low-cost Jetstar was not the best house on the block. Yes, in those days, the Virgin board lacked depth and experience. John set about changing not only the culture and the Board (by bringing new people on board) but by also changing the raison de etre regarding how to best bring dollars through the door ie: the move towards a full service carrier. Whilst you may critique his management style and direction, it is also pertinent to remember the major changes in in Virgin's shareholder structure - one that has changed dramatically over the past few years .. and a number of occasions. Having to deal with the competing interests of Singapore Air, Etihad, Air New Zealand, Hainan, Nanshan and Branson would not be the envy of any airline CEO. In the main, I believe he handled the Air New Zealand fiasco well but when you are having to juggle the issue of financial downturns at Etihad and Hainan, you have a situation that makes shareholder funds tight and expectations on returns more than difficult. I don't know that John 'didn't care' - more of a case that you can only do a certain amount with limited finances. It is clearly established that he earned his stripes at QF - and is more qualified than all of the armchair CEO's. Frankly, one of his greatest achievements was to manage such a disparate shareholder assortment and do it for such a long time. Here out come all the John Thomas fanboys. Someone who goes by the pseudonym WelshGit it seems. Someone whose parents didn’t think through their choice of names! He was the only competent member of the executive management team they ever hired, so obviously they had to get rid of him. Can’t have someone of his ability showing up the rest of the executives! never really in the game due to poorly thought out plans and poor execution. Tried to take on the flying kangaroo and failed miserably. The kangaroo stuck to its plan, like it or not and through heavy criticism, and emerged the winner. I like VA as it is, so whoever it was who has evolved the airline to it’s present style and service, I say thank you. Agreed. I like it far better than the Qantas product. I find Virgin approachable and enjoyable, I love flying with them. I hope they continue to grow and succeed and really take Qantas on. It's great that people are passionate about this stuff, but I'm not sure what the negativity is all about? If you don't like something, then don't use it. I was in on the press conference. Paul Scurrah was remarkably non-committal about what he would do or where he would take the airline. No commitment to profitability. No commitment to compete with Qantas. No commitment to open any routes. Handballed a question about privatisation to the chairman - who didn't respond. Got absolutely no sense of what his vision is for the airline at all. In terms of media debut in this position - not great. Non-committal won't cut it, and nor will 'I'll wait until I have consulted with my new team'. I honestly dont understand the conroversy. He killed it as CEO and created a real challanger airline. The next guy has big shoes to fill. I find the negative comments on John B interesting. As a consumer, he's given Australia the second airline it needed noting he was up against the Qantas brand. I much prefer the Virgin experience both domestically and internationally. Virgin always seems fresh and tries that little bit harder. It certainly does not have the arrogance of Qantas. Whilst, as a consumer, Borghetti may have given Australia a second airline, as a business he has almost destroyed the company. In the entire time that he has been CEO, Virgin has only made a profit once and that was due to the Qantas grounding in 2011 (so in reality, Alan Joyce is responsible for more profit at Virgin than John Borghetti ever was). The financial situation has been so dire at times that they have had to get funds from Virgin's owners on many occasions and sold part of Velocity just to have enough cash to keep operating. The incoming CEO has a massive task on his hands to bring Virgin in to profitability. Unfortunately for consumers, I predict that many of the services offered by Virgin will need to be cut back to bring costs back down to a more sustainable level. What people don't understand is what are the major shareholders pulling out of Virgin in benefits before reporting profits?? Do you really think rich people are happy just constantly putting their hand in there pocket. CEO's normally last 2 - 5 years at a company and this guy has lasted 9 years, other airlines are going to be offering him 10 times his current rate to come onboard. I wish John Borghetti has a good post-Virgin life. Thank you for making Virgin Australia a better airline. Why on earth would you want a 737? It may have been “updated” but it is still a 1960’s design. Poor shoulder room for pax and disgusting cargo hold for baggage handlers (I always feel terrible watching the poor sods climb in to chuck around 20+ kg bags). Maybe Scurrah will take a more holistic approach to aircraft purchases and fit out. What’s more comfortable for my customers? What’ll cost me less in Compo and Sickies? Their share price and ownership structure is a debacle...how he let them get to a point that their free share float is <10% is beyond me...the company needs to be privatized or they should raise equity and increase their free float share register. But as he leave I don't think there will be many shareholderslosing any sleep. Really surprised at the lack of commentary here about the incoming CEO? All about JB. So what's the word on the street about Paul Scurrah? Paul who ? He's been a very well kept secret until now. I hate to say it.. but he is ex Qld rail. If you live in Brisbane and have commuted to the cbd by rail over the past few years, you would be really worried about the new Virgin ceo. Qld rail is an absolute joke! You have mentioned those of us who live in Brisbane, Racala. Well I have lived in Brisbane for quite a few decades, and QR is much less a joke than its counterparts in NSW and Victoria; it also provides a lot of rail services, as Queensland is a hell of a lot larger than are NSW and Victoria. Why exactly are you criticising the new CEO before he has had a chance? We've got rid of Sydney John at last, so you should be rejoicing. Last week I had a team of people travel with me brisbane to sydney on QF and sydney to melbourne VIRGIN. David, VA have insisted to me - several times - that BOTH VA's corporate headquarters and its operational headquarters, are where they have always been, in Brisbane. VA, then Virgin Blue, got off the ground because the Queensland government invested in it, and its first CEO, Brett Godfrey, was happy to live in Brisbane, where you may be interested to know, he still lives. "Sydney John" Borghetti refused to budge from Sydney, so VA -thanks to SJB - was forced to expand its presence in Sydney. How much did SJB cost the company? The Labor federal government stole Qantas from Brisbane in 1946, David, and put it in Sydney. No airline based in any other state then Queensland has ever survived. I am pleased that "Sydney John" Borghetti has been finally given the ars gratia mea although unthinking fools may praise him to their hearts’ content. As they abuse the new CEO of Virgin Australia, let them remember whence came the only surviving airlines in Australia’s history. Goodness, none from Sydney and none from Melbourne. None. Longreach: Several of your post have been edited over the past couple of days to remove personal remarks about other users. We remind you that the comment section is provided for readers to discuss the topic of the article with each other, and isn't a place to make remarks about other readers, as outlined in the site's comment policy. We've reminded you of this policy several times in the past, and won't continue to do so: the next step will be revoking your commenting privileges, should you choose to ignore that policy again. 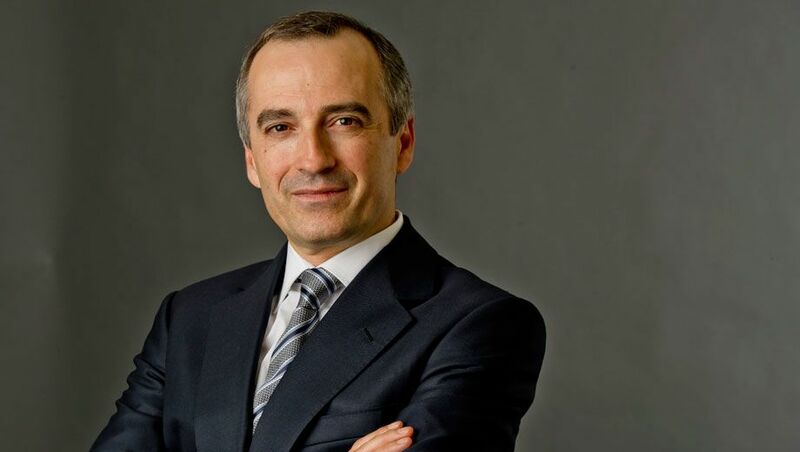 Comment on "John Borghetti leaves Virgin Australia in March as new CEO takes over"